Meanwhile, the fifth season proper of 'Black Mirror' has been pushed back - but will still arrive in 2019. Following the feverish reception that greeted the ground-breaking interactive episode ‘Bandersnatch’ last week, Charlie Brooker has revealed that there won’t be any more similar episodes of ‘Black Mirror’ in the future. December 28th saw the release of the feature-length stand-alone episode ‘Bandersnatch’, a choose-your-own adventure that allows viewers to drive the plot interactively. The choices ranged from small decisions, such as what cereal the main character should eat for breakfast and the music he should listen to on the bus, to life-altering decisions that drastically alter the course of the plot and the conclusion. “Run away. It’s harder than you think,” Brooker told the New York Times on the day of the episode’s release, before elaborating on the upcoming full fifth series for Netflix. The show that made Brooker a name before 'Black Mirror' hasn't been on British screens for a few years now. He may now be the toast of the television world after taking his brilliant dystopian anthology series ‘Black Mirror’ to Netflix, but Charlie Brooker initially rose to fame with his satirical ‘Wipe’ show on the BBC. Since 2006, the series made an appearance in a number of guises, including ‘Weekly Wipe’, ‘Screenwipe’, ‘Newswipe’, the annual ‘201X Wipe’ and the one-off ‘Gameswipe’. It gave us the brilliant characters of Philomena Cunk and Barry Sh**peas, and brilliantly satirised the news and other cultural phenomena. However, fans of Brooker were upset last year when it was revealed that there wouldn’t be an end-of-year ‘2017 Wipe’ – and, really, that 12 months really did need one! Now, Brooker has revealed that there may not be another one ever again. We're far too excited about the new season of this epic anthology series. If any TV show was about to start innovating our Netflix experience, it had to be Charlie Brooker's 'Black Mirror'. The upcoming fifth season has an interactive surprise in store, coming perhaps sooner than you think. It may be 'mirroring' 2017's fourth series with the imminent release date. The fifth season was announced back in March and has been in the midst of filming ever since. Producers are yet to unveil the new episode list, any of the episode plots at all or even any of the actors starring in the new season. What we do know to expect is six episodes that will do doubt thrill, depress and terrify us viewers. The film is in 'development hell' - but should it really happen? When Charlie Brooker's 'Black Mirror' first launched on Channel 4, it was a mind-blowing piece of television that exceeded all small-screen expectations. Since it's move to Netflix, that hasn't changed, and nor is it likely to if Charlie Brooker continues to be at the helm. But what of a 'Black Mirror' feature film? Back in 2013, it was announced that Robert Downey Jr. had acquired the rights to produce a film version of 'The Entire History of You', which is the third and final episode of the first series. Now, though, it's been reported that the project is in 'development hell' and, to be entirely honest, we're a bit glad about that. Creator Charlie Brooker has opened up about development on the fifth season of Netflix original series 'Black Mirror'. Charlie Brooker's 'Black Mirror' has become quite the global phenomenon. With four seasons under its belt to-date, it's brought a slew of incredible stories to viewers, all bringing a focus on society's obsession with technology to each of its episodes. Whilst some of the stories told seem inexplicable, when fans really sit down and think about each of them, many wouldn't be surprising if they actually took place in the near future. A couple have even seemed to come to pass in the real world. With 'Black Mirror', no linear narrative is told. Brooker has opened up about the show probably taking place in a shared universe, but with each episode comes a completely different story and bunch of characters. Each of them have had a profound impact on the fan base, and that doesn't look set to stop any time soon. With a fifth season confirmed, viewers are wondering when they'll get to see the new bunch of episodes. He opens up about the themes and inspiration behind season 4. Charlie Brooker opens up about his inspiration for the latest season of 'Black Mirror' in a series of featurettes exploring what he was trying to achieve with each story. For the 'Hang the DJ' episode, for example, he drew parallels with music streaming service Spotify. In a new featurette for Netflix, the creator of this intense drama series explains the idea behind 'Hang the DJ'; the fourth episode from the fourth season of 'Black Mirror' which has been streaming since the end of December. A fan compares footage from 'The Ricky Gervais Show' with the new Charlie Brooker series. If you've watched the latest season of 'Black Mirror', which aired on Netflix just before New Year, you'll know that it's chock full of some of the weirdest concepts ever put to screen. That just makes it all the more confusing how TV buffoon Karl Pilkington managed to predict at least two of the storylines. 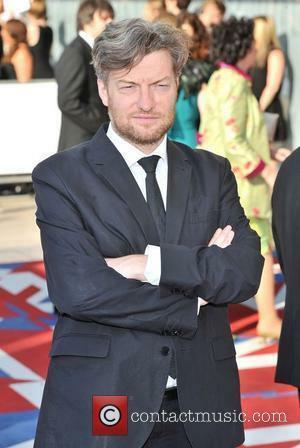 Has Charlie Brooker been watching too many re-runs of 'The Ricky Gervais Show'? Or is Karl Pilkington genuinely psychic? Either could be true, but what is certain is that the latter has spookily come up with two of the storylines for the final episode of the fourth series 'Black Museum' among some of his ridiculous yet earnest musings between 2011 and 2012. The episode opened up the fourth season of 'Black Mirror'. 'Black Mirror' is making huge waves in the entertainment industry as of late, following the fourth season of the Netflix original series making its debut and causing big conversations about the world of technology and our advancements once more. The opening episode of the new season, 'U.S.S. Callister' is being discussed more than most, thanks to the brilliant performances of its cast and the unsettling narrative woven throughout. For those who haven't yet seen the episode, turn back now to avoid spoilers! 'U.S.S. Callister' is written by creator Charlie Brooker alongside William Bridges, and stars the likes of Jesse Plemons and Cristin Milioti. The Netflix original series made its return earlier this week. An episode set in space was not what most people expected from the new season of Netflix original series 'Black Mirror', but that's exactly what the show's creator Charlie Brooker delivered in the first episode of the anthology series, in the form of 'U.S.S. Callister'. It did of course however come with a few twists and turns along the way, pushing many viewers into an anxiety-ridden state before all was said and done. Though 'U.S.S. Callister' does take part largely in what's revealed to be a virtual space world, the narrative is much larger than that. It tells a story in the not so distant future of a chief technical officer who's berated by his peers, and so turns his anger into a misogynistic and tyrannical reign over virtual clones of them in his own space universe. There, he is the master of all; a god, that can bend the world around him to his will. The clones have a consciousness within the world, but must do everything that the Captain asks of them, or face very real pain and trauma. The series has impressed with a number of close-to-the-bone short films. For many, 'Black Mirror' is an escape from the real world, but for a majority of others, the series provides a close-to-the-bone, over-the-top insight into how things could look a couple of hundred years down the line if technology and public opinions continue to evolve and adapt in the way we've seen them do so in the past few decades. Though the show delivers a unique story to viewers with each and every episode, there have been those who have noticed references to certain tales within another episode throughout the years. 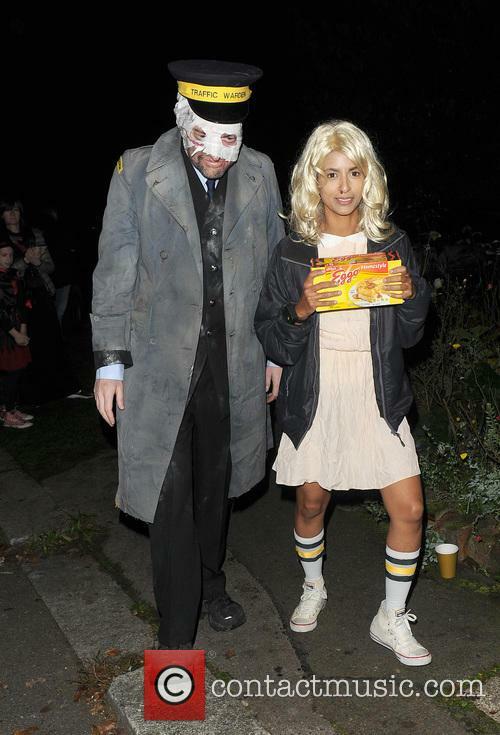 Whenever he was asked about them in the past, creator Charlie Brooker would say that it was a simple Easter Egg for those extremely dedicated to the series, rather than being a hint that all of the episodes and stories exist within the same universe. New Series Of ‘Black Mirror’ Heading To Netflix?